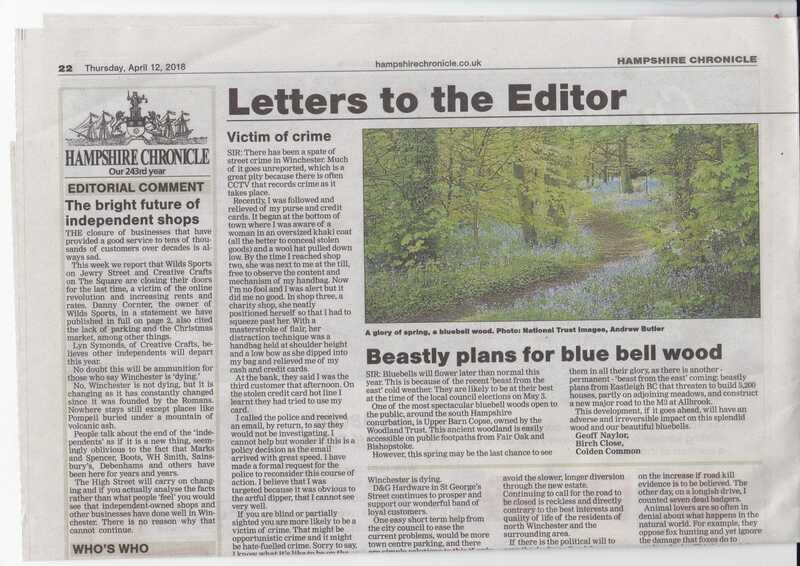 Letter to Hampshire Chronicle, 12 April 2018: The Hampshire Chronicle has today published this letter from Geoff Naylor of Colden Common about the threat posed by Eastleigh Borough Council’s Local Plan to the Woodland Trust’s bluebell woods in Eastleigh. “SIR: Bluebells will flower later than normal this year. This is because of the recent ‘beast from the east’ cold weather. They are likely to be at their best at the time of the local council elections on May 3. 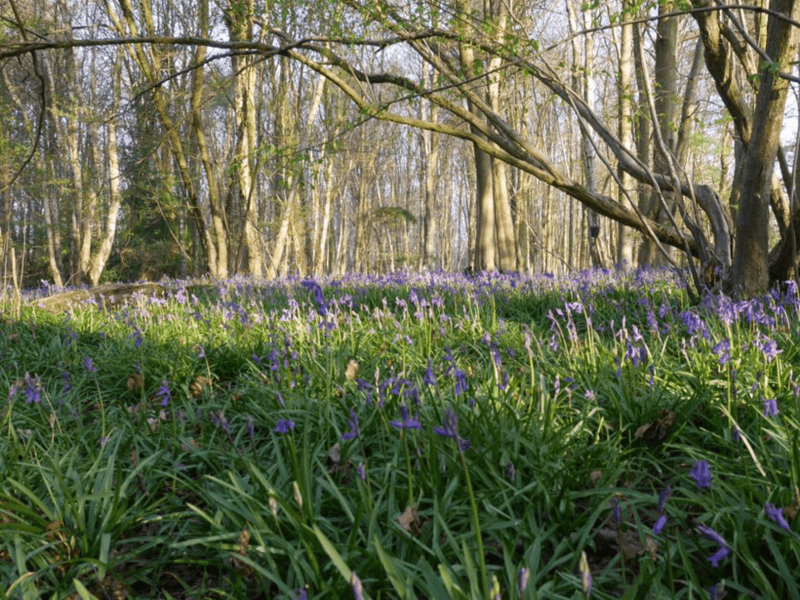 One of the most spectacular bluebell woods open to the public, around the south Hampshire conurbation, is Upper Barn Copse, owned by the Woodland Trust. This ancient woodland is easily accessible on public footpaths from Fair Oak and Bishopstoke. However, this spring may be the last chance to see them in all their glory, as there is another – permanent – ‘beast from the east’ coming: beastly plans from Eastleigh BC that threaten to build 5,200 houses, partly on adjoining meadows, and construct a new major road to the M3 at Allbrook. For the Woodland Trust’s view on Eastleigh Borough Council’s plans, read this: “Eastleigh’s ancient woodlands are threatened by council’s Local Plan”, says Woodland Trust.